At Vero Dental Spa, we want you to feel comfortable with your treatment choices. If you are already scared of going to the dentist, you might feel reluctant to choose sedation medication to combat fear. Before deciding if sedation dentistry is right for you, we have compiled a list of some of our patients most commonly asked questions. Call us today, and we will answer all of your treatment questions. Sedation dentistry is a dental technique, in which a certified dentist helps patients relax during procedures with sedative medication. 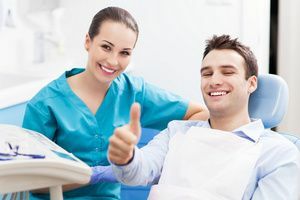 Sedation dentistry is especially beneficial for patients with a fear of dentists, dental instruments, or patients requiring advanced procedures. You are welcome to bring anything into your appointment that makes you more comfortable or secure. You are welcome to bring your own music, and we offer pillows, or blankets to keep you warm and comfortable. You should also bring your medications, like asthma inhalers, supplemental oxygen, or anything you need in an emergency situation. You should also plan on having someone drive you to and from your sedation appointment. Conscious sedation is a type of sedation that reduces discomfort by inducing an altered state of consciousness. Patients under conscious sedation are able to speak and respond to instructions throughout the procedure, as well as communicate any irritation. While you will be cognizant enough to communicate during your treatment, most patients won't have memory of the procedure. During your initial consultation at Vero Dental Spa, we will walk you through all of the information you need to know about sedation dentistry. 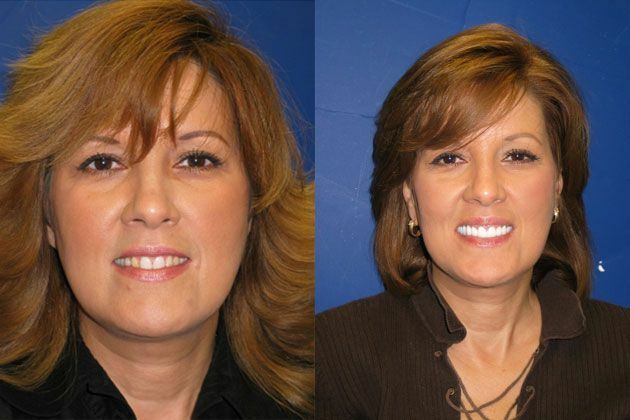 We will tell you if you are a qualified candidate for sedation dentistry. Chances are that you will be a viable candidate, if you have a low threshold for pain, a sensitive gag reflex, dental anxiety, or need multiple teeth treated. Can any dentist administer sedation? The majority of dentists can administer minimal sedation, meaning nitrous oxide or oral sedation pills. Fewer dentists are certified to administer moderate sedation and deep sedation. Deep sedation and general anesthesia are considered more advanced and are more commonly administered by maxillofacial surgeons and dentist anesthesiologists. Which medication is used for oral sedation? Typically, we use a sedative pill in the same family as Valium or Xanax. This medication is short acting, and does not stay in your system for a long period of time. Oral sedation is incredibly safe, and effective at keeping patients completely calm and comfortable during treatments. What is the difference between oral sedation & other sedations? In the majority of cases, deep sedation and general anesthesia are not necessary for lesser advanced dental treatments. Deep sedation is often needed in the removal of deeply impacted wisdom teeth. Oral sedation puts you into a state of relaxation, but not as indepth as deep sedation. Oral sedation usually lasts between 3-5 hours. Does sedation medication have any side effects? Patients might experience a few side effects from sedation medication. Oftentimes, patients get dry mouth while under the influence of the medication, but this side effect dissipates after it wears off. When you get home, you may feel the need to take a nap for a few hours. Do you have any more questions about sedation dentistry? At Vero Dental Spa, we are dedicated to helping you feel safe and comfortable during your dental procedures and want to answer all of your questions before treatment. Contact Vero Dental Spa in Vero Beach, FL today and learn about your sedation options.